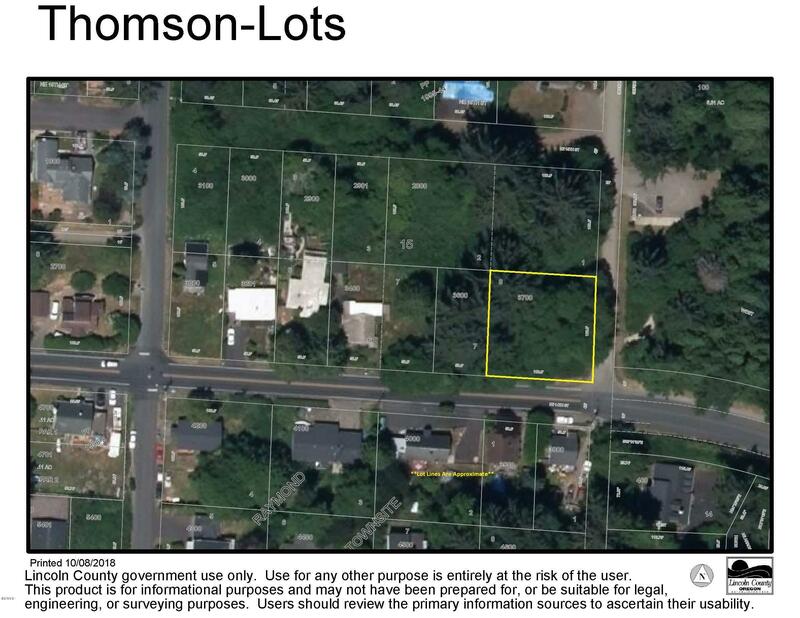 This .23-acre parcel is zoned Residential Muti Use and has the potential to build multi units or single-family dwelling. Buyer to verify all approved uses with the city of Lincoln City. Close to shopping, historic movie theater, award winning restaurants, hospital, cultural center, parks, the lake, and miles of sandy beaches. Ready to build your dream home! Additional tax Lot 2800 is also for sale under MLS #18-2614 or buy both together at a discount under MLS #18-2615. Directions Highway 101 to 14th St, 14th St East to Port, left on Port, property on left corner of 14th St and NE Port.